Never one to waste a moment, Stuart spends his spare time at the gym and playing or watching every conceivable sport. Stuart's wife, Claire and their growing family share his passion for health and fitness, regularly participating in triathlons, fun runs, bay swims and bike rides. We wanted to drop you a note to thank you for the outstanding efforts of you and the Marshall White team during the recent sale campaign of our home. Your professionalism and dedication to us, as customers, made for the outstanding result that was achieved. Of course this did not all happen on the day of the auction, and the sale that we achieved was a result of a long relationship that we have had with you over the years that you have been operating in the Hawthorn area. We came to know you well having numerous discussions at open inspections in our area about results and trends. You were always professional but were not intrusive. Importantly, we came to trust you, and for this reason, last year when we decided to sell our home our first and only call was to you. As we had been in the home for nearly 17 years it was not an easy decision and you, as always, were very considerate of our feelings. In addition to handling our sale you were also able to provide us with your professional opinion and influence on the property that we were interested in purchasing at the time. This was invaluable to us in what was a difficult situation and ended up with us securing that property Throughout the process what we most valued was the integrity and trust that you brought to our relationship. At all times you sought to act in our best interests. Again, we thank you and your firm for the outstanding result that achieved. Our very best wishes for the future. We would like to take this opportunity to both thank and congratulate you and Tori for the successful sale for our home in Surrey Hills. We would also like to compliment your office team for professionalism. As you know, we were apprehensive of the real estate business when selling a house but were pleased with your attention and open communication. We feel Marshall White provided an excellent service throughout the selling campaign, which definitely removed some of the stress for us. We would not hesitate to recommend you or Tori should we know of someone who is considering selling their home. Judy and I would like to convey our sincere thanks and congratulations to Marshall White for the splendid work done, and of course on the recent auction of our property 34 Jurang Street, Balwyn. In particular, of course, credit for the success has to go to the outstanding input of Stuart Evans, ably assisted by Tori McGregor and Alysha McCormick. At the outset, Stuart promised us “hard work and enthusiasm; accurate and professional advice; and regular contact to keep you informed during the campaign.” The promise was exceeded on every count. Stuart is an outstanding agent. He is always available when you need him. He returns calls in record time if you leave a message for him. Nothing is ever a bother. Every request is attended to promptly. His communication skills are superb. He never gets flustered. He keeps clients fully briefed on progress and matters of interest all the way through the sale process. His advice is always sound and objective. Above all, he keeps a positive, confident and cheery outlook on the job at hand and he delivers the best results possible because he works so hard at it. It is always a comfort, particularly to us order people to know he is there for us. We can be sure we are in good hands. 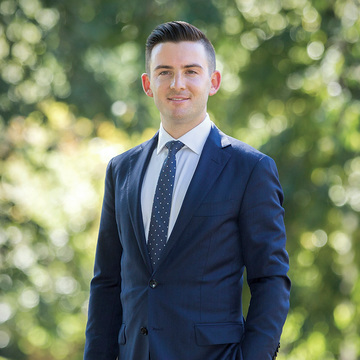 I have no hesitation in recommending Stuart and his team to anyone looking for a highly competent, honest and reliable real estate professional. 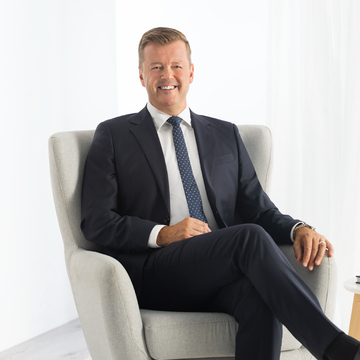 He is a worthy partner in one of Melbourne’s best agencies. Before we even decided to sell our villa we had an inclination that Stuart was one stride ahead of many real estate agents we had come across. We had purchased our current house through a different well respected agency, who’s representative showed no interest in further transactions. Stuart, on the other hand, established a relationship with us that would later be mutually beneficial. He was the only agent we had meet through attending open, that has firstly asked about our needs in the real estate market and secondly kept in regular contact over the years. From our first interview, throughout the campaign and up until settlement, we found him a pleasure to work with. He always conducted himself in a relaxed, yet professional manner and we felt perfectly at ease with him. We will highly recommend Marshall White as an agency to our family and friends and especially using Stuart to cater for all their real estate needs. I first met Stuart in November 2008 at an OFI across the street from where we live. Stuart’s non ‘real-estate agent’ manner took me by surprise, and without even thinking about it, I mentioned that at ‘some point’ my husband and I would like to sell our home and move on. Let’s face it, ‘some point’ turned out to be a long way off as we had no specific time frame or destination in mind at. My husband and I were very impressed that Stuart often kept us informed of what was happening locally in the property market without ever pushing us to sell or pressuring us to make a decision about it sooner rather than later. Since selling, we always respond to neighbours and friends who have had disappointing experiences with other estate agents in the area by mentioning Stuart’s name and telling them what a great job he did for us. So if you are one of the few people that we’ve not recommended Stuart to in person, please accept this testimonial as a ringing endorsement. After all, its not just a house you’re selling, it’s your home! 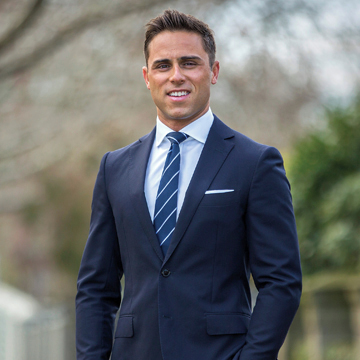 “Stand Out” is two words to describe the performance of Mr Stuart Evans from Marshall White & Co in handling all aspects of the sale of our home. 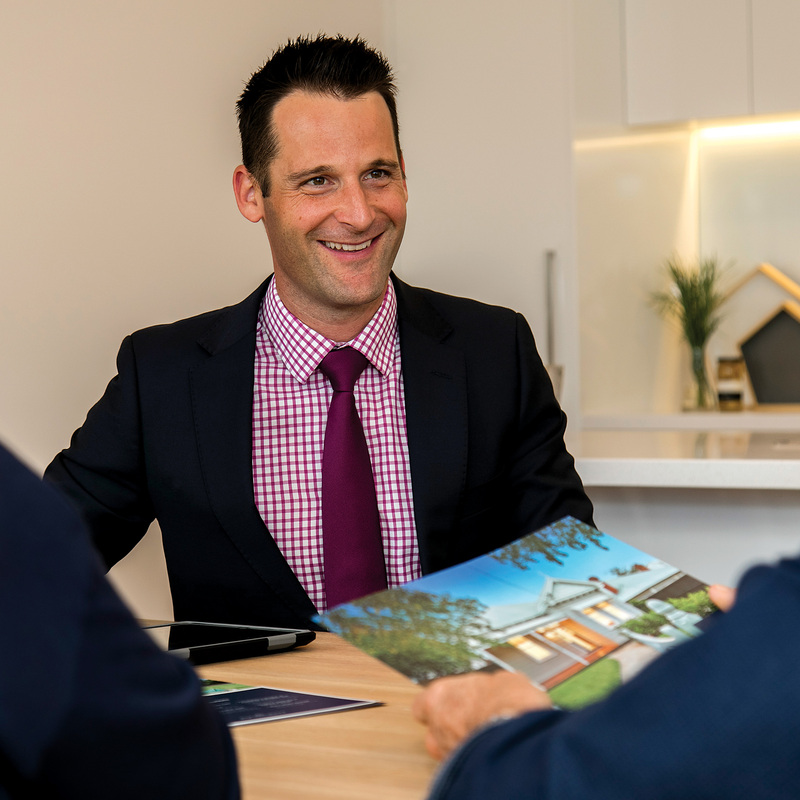 We interviewed three separate companies who are regarded as the top sales agents within Boroondara. Stuart stood out from pack. In my experience with real estate it is the “person” not the company who will sell or help you buy a property. Stuart was far and away the most professional out of the three agencies in his personal conduct, industry information and sale strategy. 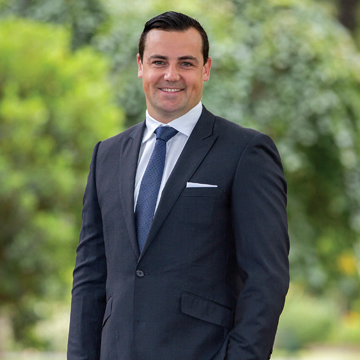 I used Stuart Evans from Marshall White to sell our investment property last month in Camberwell and he was outstanding. Stuart was highly recommended by my old neighbor. Stuart sold my neighbor's property almost a decade ago, and they were really happy with the result. We talked to Stuart on the phone while we were in the States regarding the selling. He addressed our concerns like how to make our tenants' daily life easier during the campaign, keep us up-to-date about every single step while we were overseas. Stuart's team made the process incredibly easy and took extra steps like giving us staging tips, having professional photos taken, and a lot more. When we saw our listing we were blown away. His hard work and knowledge of what it takes to sell a home really paid off - our listing looked amazing. We won four bidders.It couldn't have been a more pleasant experience. I've recommended Stuart Evans and his Marshall White team to everyone I know. He's a true professional and a genuinely nice guy. I realize it won't always be this easy to sell your home, but I think you'd be hard pressed to find a better agent. David and I just wanted to thank you again for all your hard work, effort, advice and encouragement selling our family home in Hawthorn East. It was a daunting concept selling the family home of 20 years but the professional advice, the excellent communication, the vast knowledge of the local real estate market and the team effort and support provided by Marshall White Hawthorn (and yourself in particular), gave us confidence and satisfaction in the entire process. From the moment you sat down with us to discuss the details of our selling campaign, through to the successful auction day and beyond to settlement we felt confident, relieved and positive. We were guided by someone who was not only a consummate professional in his field but someone who was personally positive, approachable and gregarious, guiding us confidently through what was a personally life-changing decision for us. Your personality, sense of humour, professionalism and communication also meant that potential buyers were confident approaching you and this created a positive experience for all involved. We have no hesitation in recommending your services to potential vendors or buyers. Thanks again Stuart and thank you to the 'behind the scenes' team at Hawthorn Marshall White with a special mention to Doug McLauchlan, the auctioneer, who has to be one of the most professional, experienced and entertaining auctioneers in Melbourne. We met Stuart a number of years ago when searching to buy a house. At the time we didn’t end up buying from Stuart, but he stood out as a really helpful, knowledgable, and no nonsense agent. We never forgot Stuart and we stayed in touch. When we decided to sell our house in Hawthorn east years later, there was no discussion. Stuart was the agent for the job. We have been living in California for a number of years and selling a house while you are out of the country is very nerve racking. Stuart and his team at Marshall White handled everything for us. The communication was great, the house looked amazing and we achieved a great result at the Auction. We thouroughly recommend working with Stuart and Marshall White. If we are either buying or selling again in Melbourne they will be our number one choice.